Olive Garden: Kids eat free tomorrow (Thurs. April 24) for Bring Your Child to Work Day! 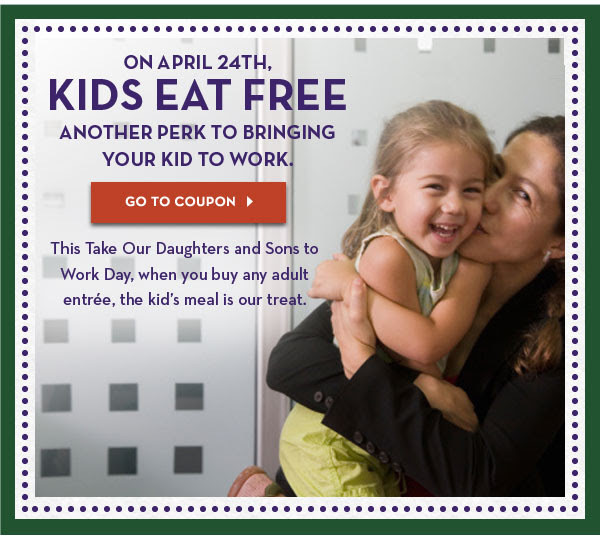 Tomorrow (Thursday, April 24) is Bring Your Daughter/Son to Work Day, and to celebrate, Olive Garden is offering a free kids meal when you purchase an adult entree! You will need the printable coupon found here.